Lise de Baissac, the sister of Claude de Baissac, was born in Mauritius on 11th May, 1905. 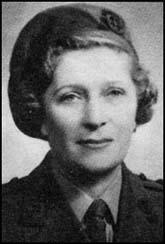 During the Second World War they both joined the Special Operations Executive (SOE). Given the code name "Marguerite", Baissac and Andrée Borrel, became the first women agents to be was parachuted into France on 24th September 1942. They landed in the village of Boisrenard close to the town of Mer. After staying with the French Resistance for a couple of days Baissac moved to Poiters whereas Borrel went to Paris to join the new Prosper Network. Over the next few months Baissac acted as liaison officer between the Prosper, Scientist and Bricklayer networks. As she did not have a wireless she had to travel to Paris to send and receive messages and collect funds, or to Bordeaux where Claude de Baissac was building up the large circuit, organising sabotage and providing reports on submarines and shipping. In June 1943, the Gestapo arrested several agents involved with the Prosper network including Andrée Borrel, Francis Suttill and Gilbert Norman, but Baissac managed to escape back to England. Baissac was dropped back into France in April 1944, to work with the Pimento Circuit run by the SOE agent Anthony Brooks. However, she came into conflict with the group (she thought they were militant socialists with political aims) and joined her brother Claude de Baissac, who had gone to Normandy to reconnoitre large landing grounds that could be held for 48 hours while airborne troops established themselves. A British army officer later claimed: The part she played in aiding the Maquis and the British underground movement in France cannot be too highly stressed and did much to facilitate the Maquis preparations and resistance prior to the American breakthrough in Mayenne. According to her Special Operations Executive file: She was the inspiration of groups on the Orne and by her initiative caused heavy losses to the Germans with tyre bursters on the roads near St Aubin-le-Desert, St Mars, and as far as Laval, Le Mans and Rennes. She also took part in several armed attacks on enemy columns." Baissac was awarded the MBE in September, 1945. After the war she married Henri Villameur, an artist and interior decorator living in Marseilles. Lise de Baissac died aged 98 in Marseilles on 28th March, 2004. (1) Lise de Baissac, was interviewed by Rita Kramer for her book Flames in the Field, about being parachuted into France with Andrée Borrel on 24th September, 1942. De Baissac was one of the first two women agents to be parachuted into France on the night of April 24-25, 1942 - Yvonne Rudellat had arrived by boat two months earlier. She was dropped with the 22-year-old Andrée Borrell south of the Loire. 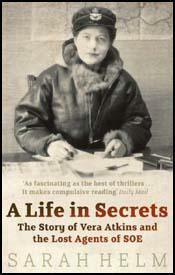 Her mission was to establish a safe house in Poitiers where new agents could be settled into the secret life. Her cover story was that she was a widow, Madame Irene Brisse, seeking refuge from the tension of life in the capital. With characteristic nonchalance, she moved into an apartment on a busy street near the Gestapo HQ, and even became acquainted with the Gestapo chief - Grabowski - hated by everyone, she said. In Poitiers she made many friends, entertaining them at her flat, so agents visiting her would not seem unusual. She had presciently chosen a ground-floor apartment in a block without a concierge and even her cleaning lady, there every morning, never suspected her clandestine work. As well as receiving new agents, she organised reception committees for arms drops.